If you want your small business to survive over the long-term, you’re going to have to work on strategies for how you can attract customers. There are a few tips in particular that will help you achieve this goal so you can stabilize and eventually grow your small business as time passes by. Without a solid book of business, you risk not being able to meet your sales goals and having to eventually close your doors. Customers are the backbone of your company and are what will allow you to continue building your small business into an even larger entity. 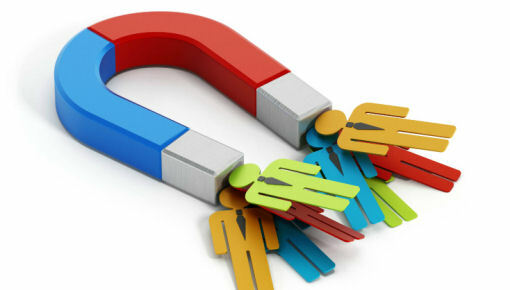 Once you attract new paying customers, it’s also in your best interest to focus your efforts on retaining them as clients and getting them to come back in the future. Remember always to thank your customers and show them your appreciation for them giving you their business, so they don’t feel like you’re taking them for granted. Attract customers to your small business by launching a functional and attractive website to represent your company and brand online. For instance, if you’re a general contractor looking to expand your small business and win over new customers, then you can view here how to get started with this project today. It’s a wise idea to work with those who are experts in this area so you can be sure to include all the important information you need to get your message across, confirm it’s easy to navigate and effortlessly track your conversation rate. Without a company website, you risk losing the business of a large number of potential customers who are online searching for answers to their problems. Your small business is likely to grow over time when you take advantage of all the benefits being visible and available on the Internet has to offer you. Consumers want to be able to go online and get all of their questions answered without having to pick up the phone and contact you immediately. An additional strategy for bringing in customers and getting them to notice your small business is to run special sales and promotions. For example, offer a buy one get one free deal or ask current customers to bring a referral with them the next time they’re shopping with you. Reward consumers for testing out your small business with these types of incentives and you’re likely to attract a lot more customers to your company. Run limited time discounts so that you create a sense of urgency among consumers and they have a reason to take action right away. The more people you get talking about you and interested in trying out your products or services the better, so it may be worth you giving up a little in the short-term to gain a lot in return overall. Mix it up and advertise a variety of sales and promotions throughout the year and see which ones catch on and bring you the best return. Consumers adore and appreciate businesses that get involved with and help out the local community. Attract customers to your small business by volunteering your time or donating money to important causes in your area. It’s a great way not only to get recognized and create awareness around your company, but you’ll also meet new people in the process as well. Do so often enough, and eventually, you’ll start to see and encounter some of the same people and be able to build long-lasting relationships with others. As a small business, it’s even more critical that you put yourself out there if you want to compete in the marketplace and your industry. No one will know who you are unless you’re willing to go above and beyond to get your name and brand out in the public eye. Get to know your potential customers on a personal basis and always remember to follow up with any interested parties so you can reintroduce yourself. Networking is essential if you want to develop and grow your small business as time goes on. One idea is to sponsor various networking events both locally and nationally, so people start to become more familiar with your products or services. It’s a great way to spend your money and a marketing tactic that actually works and will provide a return on your investment. You should also make it a point to collect email addresses and contact information at these special events. This way you can add potential customers to your email list and keep them informed of your latest announcements. Be present at these events so you can answer any questions the people you meet have and help them to better understand what it is your business does and what value you can bring to their lives. Positive online reviews are extremely important to have in the current era and way of life. Attract customers to your small business by letting other satisfied clients do the talking for you. Make sure you take advantage of these positive remarks and post them to your website and highlight them when someone’s on the fence about wanting to work with you. Be proactive in collecting as many as possible by reaching out and requesting that customers who are happy with you take a moment to write a review. More and more consumers are heading to the Internet to read through these remarks before even considering learning more about a company or spending their hard-earned money with a business. The reality is that consumers want to hear about experiences other consumers have had and not from the small business themselves. This form of advertising is authentic and truly communicates to potential clients what kind of service they can expect to receive when working with you. If you have a lot of negative reviews or none at all you risk losing customers to your competitors who do have this information available.